An ethereal mountain landscape where jagged peaks tower more than a mile above the Jackson Hole valley, Grand Teton National Park is located in northwestern Wyoming just south of Yellowstone National Park and just north of the town of Jackson. Visitors can reach the park through U.S. 191. The park's mountain range is very popular among climbers, hikers and photographers. In 1972 Congress dedicated a 24,000 acre parcel of land as John D. Rockefeller, Jr. Memorial Parkway to recognise his generosity and foresight. Congress also named the highway from the south boundary of Grand Teton to West Thumb in Yellowstone in honour of Rockefeller. 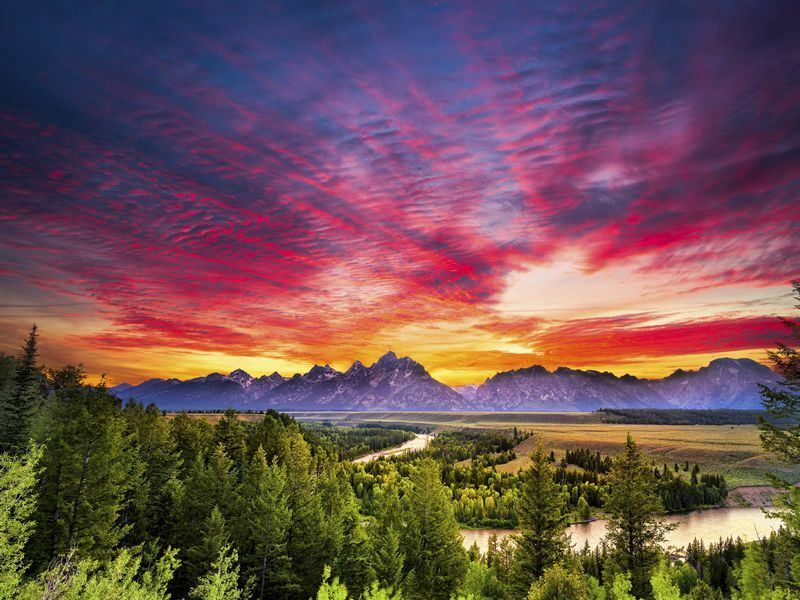 Located in northwestern Wyoming, Grand Teton National Park protects stunning mountain scenery and a diverse array of wildlife. Rising more than 7,000 feet above the valley of Jackson Hole, the Teton Range dominates the park’s skyline. Natural processes continue to shape the ecosystem against this impressive and iconic backdrop. More information and to book: Travellers of all ages can enjoy a journey through the cowboy towns of Jackson, Cody, Sheridan and Keystone, as well as Yellowstone, Rapid City and Grand Teton National Park on the family-friendly Wild West Cowboys & Buffalos escorted tour. Article courtesy of Wyoming Tourism.